Do you want to set up your own business in Thailand which can ensure good profits and margins but requires low investment? Well, food business is the right option for you if you want to invest less and earn more. This is one of the high growth and profitable sectors in the world. This is a business which ensures regular returns with great profits, you will never face loss if your business will get established in the right location in Thailand. If you have really have the zeal and passion to do something different by venturing into food and beverages outlets in Thailand then, BrewBakes coffee shop master franchise business opportunity is best for you. BrewBakes is one of the leading food business and coffee chains in India. We provide you great franchise support right from choosing the best location to open your coffee shop and also give support in hiring the trained and professional employees. With end-to-end franchise support we also provide solid business plan with concrete marketing strategies to run your coffee shop master franchise business in Thailand to make money with sufficient margins. Why BrewBakes Cafe Master Franchise in Thailand? Thailand is the country in Southeast Asia. The 50th largest country in the world and also the 12th largest in Asia, Thailand is one of the most visited countries in the world by the tourists all around the world. Thailand has so many things to offer it’s visitors from lush green forest to crystal clear blue water and of course the foods that are popular in all around the world. Thailand is famous for many reasons be it temples, tropical beaches or tuk-tuk, but one thing that is famous all over the world is the ‘Thai food’. It’s the cuisines that brings the tourists or holidaymakers back for second or third time here. From hot, sour, sweet and spicy, you will get mixture of delicious cuisines in Thailand in every corner of the streets and markets. The tourists can find many restaurants, food cafe, coffee cafe, supper place and hawker centers and much more to eat and drink. Everyone love to explore and taste the Thai dishes. So, starting a food business in Thailand will be a wise decision for everyone who are planning to invest in business. Thailand is mainly famous for the exotic beaches but it is a paradise for the foodies. It’s restaurant scene is not to be sneezed at. It is famous as a street food heaven. Well, not only the street foods but Thailand is famous for many things that attracts tourists from all across the world. The high quality hospitality, floating markets, spas, night life are the reasons why everyone visit here. Thailand is an emerging economy and considered a newly industrialized country. Also it is the second largest economy in Southeast Asia after Indonesia. Hence, Thailand is the perfect place for doing business especially for a new startup. The tourists can be your potential customer. You can run your business by managing the tourists as well as the young professional and students who come here for jobs and higher education. There are many universities, colleges, primary and secondary schools in Thailand. 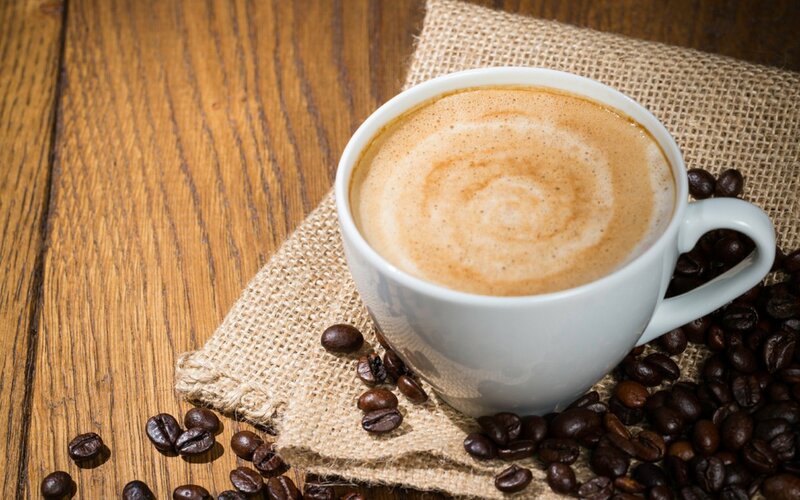 Establishing your BrewBakes coffee shop in or around the college or universities campuses will be a nice decision as here you don’t need to put too much effort to attract customers. The students always in a search of search trendy restaurants or coffee shops that offers perfect ambiance to hangout with friends and dear ones. BrewBakes offers great ambiance to its customers where they can sit and enjoy delicious coffee with snacks and other delicacies. So, partner with us to make great profits in food and beverages business in Thailand. Thailand offers good locations and venues for coffee shop establishments. And the country also has the potential for growth and life of food businesses. There are various reasons which justify why you should establish BrewBakes coffee shop in Thailand. Tourist sites, shopping malls, shopping streets, educational institutions, school, colleges, etc are considered as good locations for coffee shops and food business. And there is no dearth of such favorable places in Thailand. If you will establish your own coffee shop in one of these prominent locations in Thailand then, you can be able to get benefits from high traffic. You will not have to make too much effort for getting customers to your own coffee shop. The youngsters, students, tourists and local residents will be your potential customer and you can run your business managing these customers. Brewbakes can provide you appropriate training and support for running your coffee business in Thailand. BrewBakes is India’s leading coffee shop chain that offers coffee shop franchise in domestic and international market as well. We are already having hundreds of operational coffee shop in many cities of India. And now offering coffee shop master franchise opportunity in Thailand also for the passionate people from its different cities who are looking for a business opportunity in Thailand that can be started with low investment. We offer coffee shop master franchise opportunity across Thailand, but mainly focus on cities areas and town as these area are frequented by working professionals, students, tourists and local residents as well. Hence the cities like Bangkok, Chiang Mai, Pattaya, Chiang Rai, Hat Yai, Hua yin, Khon Kean, Udon Thani, Phuket city and many others are the best for opening your own BrewBakes coffee shop.